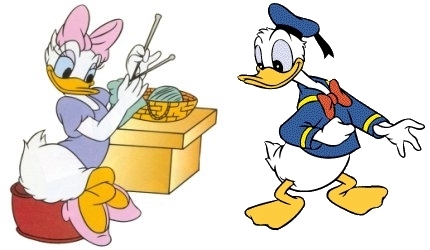 Donald and marguerite, daisy. . Wallpaper and background images in the Donald canard club tagged: donald duck disney cartoon character. This Donald canard photo might contain anime, bande dessinée, manga, and dessin animé. Donald in the Rain ! Let's Play Football Donald ! He who laughs last laughs longest ! Donald canard Is it Friday yet?